At Hotel LeVillage St.Barth, savvy guests stay in spacious indoor/outdoor suites with fully equipped kitchens and modern amenities while paying as little as $558 a night for two. 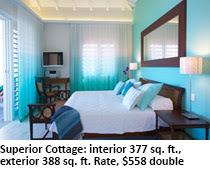 These rooms may have a Caribbean charm and flair befitting the first full-service hotel on the island (it opened in the late Sixties and one of its first guests was movie legend Greta Garbo) but today’s newly upgraded model surpasses many of its 5-star neighbors with i-Pod docks, fiber-optic Internet, laptop safes, and flat-screen TVs that become decorative seascape “paintings” when not in use. General amenities include a cascading swimming pool with gazebo and self-serve chilled soft drinks, an exercise room with panoramic views of the bay and, for trips to that glorious beach just down the hill, beach towels, folding chairs, ice boxes, paperbacks and a self-service bar for soft drinks right in reception. Double rates for Le Village’s “Superior” category begin at $558 through December 17 and include continental breakfasts with croissants and pastries freshly baked in the café just down the hill. For a complete photo gallery with detailed descriptions of the suites and amenities, plus detailed rates and information on special summer/fall packages log on to www.levillagestbarth.com. 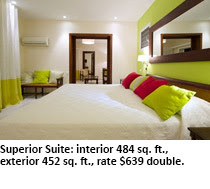 Or, for an instant confirmation, call Reservations directly at 1/800-651-8366. ATTENTION MEDIA: For high-res photography and additional information on rates and packages, contact Martha Morano (martha@moranopr.com) or Ian Keown (iankeown@gmail.com). 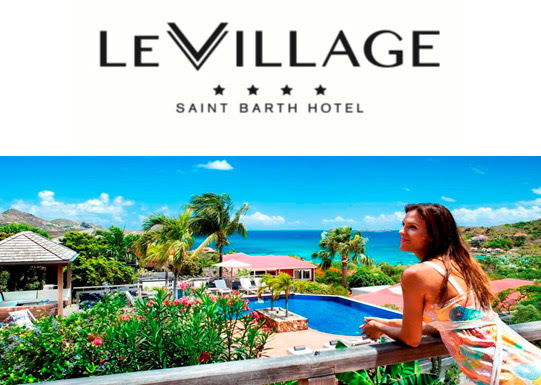 Hotel LeVillage Saint-Barth on St.Barthelemy is a family-owned, family-run hideaway of 28 airy timber-and-stone cottages, hotel rooms and three villas located on a breeze-cooled hillside above Baie de St Jean, the largest and most beautiful bay on St.Barth. The spectacular beach is just a three-minute walk down the hill and the adjoining village is a popular gathering spot for its range of boutiques, restaurants, bars, discos and take-outs, all within walking distance of the hotel. The rooms and suites are cooled by refreshing trade winds (with air conditioning for backup) and offer sweeping ocean views of the lagoon-like bay and the islets beyond the reef. The gardens include a lipless swimming pool and an elevated exercise room overlooking the bay.